Matting – sometimes called blanket or quilt insulation – is sold as flexible rolls of different thicknesses. The most common type is mineral wool, made from glass or rock fibre. 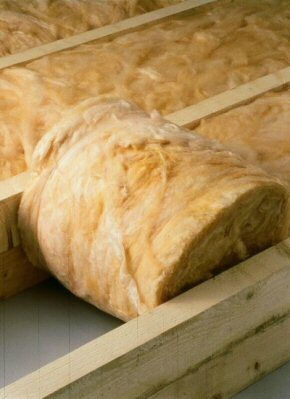 This is the standard insulation material for a cold roof application, as well as an empty loft, and is also commonly used in insulating stud walls and under suspended timber floors. 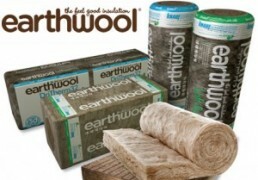 Other materials such as sheep’s wool are also available. You should always wear a protective mask and gloves when working with mineral wool. 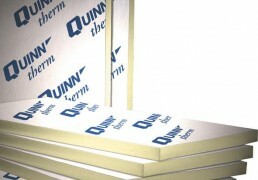 Rigid insulation boards can be used to insulate walls, floors and ceilings. They are mostly made from foamed plastic such as polystyrene, polyurethane (PUR) or polyisocyanurate (PIR). PUR and PIR board are amongst the best insulation materials commonly used, and so are useful where space is limited. Rigid board has to be cut to size, so fitting is often a skilled job. Expanded Polystyrene Insulation (EPS) is also used in situations where no u-value is required, such as insulating garages or garden storage areas. Some insulation performs better than others, meaning you can use a thinner layer and still get the performance you want. 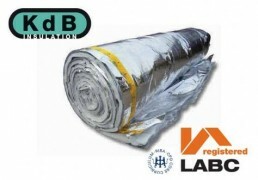 All manufacturers of insulation materials will quote the thermal properties of their products. Usually they will quote the thermal conductivity, known as the K-value or lambda. A low value means the material conducts less heat and is a better insulator, so you can use a thinner layer.